Poppy Seed Chicken Bubble Up - our favorite chicken casserole turned into a bubble up - the best of both worlds! Ready in 30 minutes! 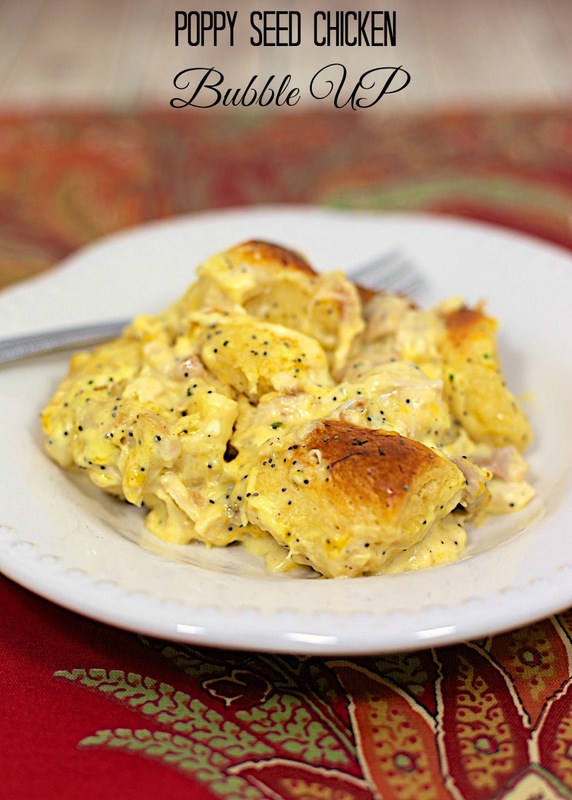 Everyone loves this easy chicken casserole recipe! Chicken, sour cream, cream of chicken soup, cheddar cheese, poppy seeds tossed with refrigerated biscuits. SO good!!! Such a family-friendly casserole recipe. Kids go crazy over this! This recipe combines two of my favorite recipes - my chicken noodle casseroles and my bubble up casseroles. I've been adapting my Cracked Out Chicken Noodle Casserole recently (French Onion Chicken Noodle Casserole and Buffalo Chicken Noodle Casserole) and decided to swap the noodles with biscuits. I figured if noodles were good, biscuits would be better. O-M-G! This was delicious! I wanted to eat the whole pan myself, but my stomach wasn't big enough. This is super creamy and delicious. 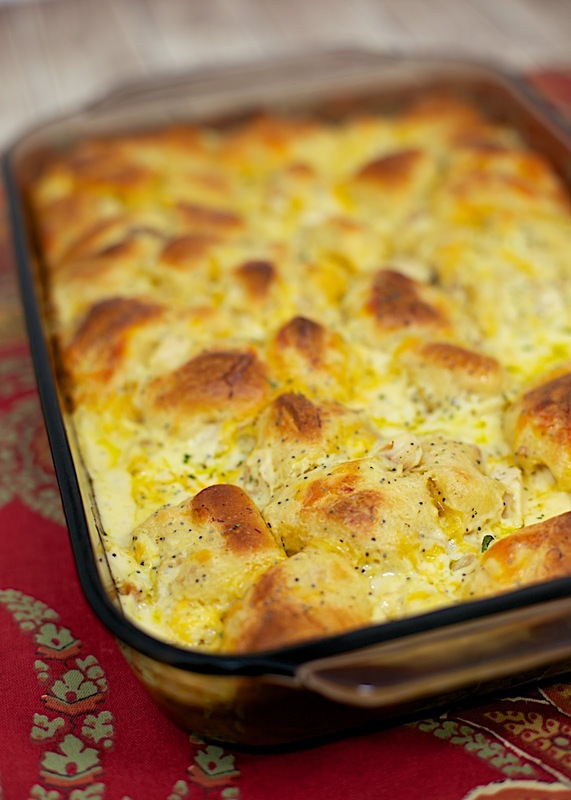 The chicken mixture can be made ahead of time and tossed with the biscuits when you are ready to bake it. I wouldn't store this fully assembled for very long. I've done that before and the biscuits didn't rise as much as they did when the biscuits were cooked immediately. Combine chicken, soup, sour cream, cheese, pepper and poppy seeds. Cut each biscuit into 6 pieces. Toss with chicken mixture. Pour chicken mixture into prepared pan. Bake for 25-30 minutes, until bubbly and biscuits are golden brown. Another GREAT bubble up recipe. I've made several from this site & so far they are ALL good! Pics on my page. Thanks. Im not getting it. What is a bubble up?